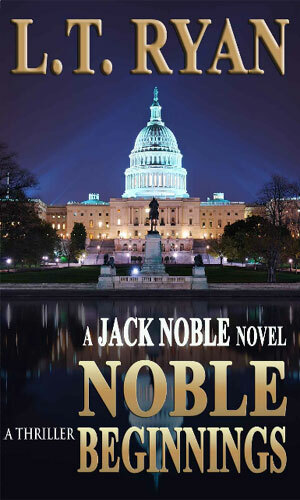 Jack Noble is a freelance agent. He is a contract killer for hire with the people doing the hiring usually intelligence agencies who need someone removed without it getting out they were behind the hit. The operative word here is usually because he also works on the odd job for others. There was no decision on his part on day to become an assassin but when circumstances forced his hand, he showed he was very, very good at it. 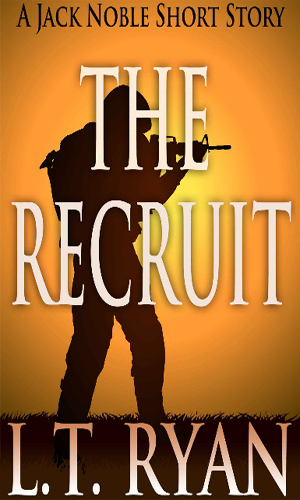 When his desire to be a football player did not work out, he joined the Marine Corps. This might not have been his smartest moves as in Basic Training he showed his ability to tick off just about everyone. Many of his fellow recruits at Parris Island took a dislike to him, probably because he was very good at everything. All of his instructors disliked him because he could take what they dished out and still smile. It looked very quickly like military life and he would not be a match. That's when the CIA stepped in. The powers-that-be had an idea of using Marines in conjunction with CIA operatives in hotspots all of the world. They needed men who could do more than just take care of themselves but they also wanted people who were not totally set in the ways of the military. The solution to this need was to look at the new trainees and pick out the ones that look promising. Further training at their own facilities would tell if the prospects measured up. If not, they were sent back to the Service without trouble. Jack Noble made it. So did his new-found friend, a giant of a man nicknamed Bear. For nearly a decade, Noble and Bear worked all over the globe backing up the Company's men. Then 9-11 happened and they were sent into Iraq ahead of the troops and someone somewhere got the idea that these two would watch an innocent family get massacred - or perhaps they were setting Noble and Bear up. Whatever the cause, the actions that the two took to try and save the people got them on someone's naughty list, a list whose members usually died. Noble and Bear did not. After the trouble that got them so unpopular was over, Bear and Noble went parted on friendly terms and Noble got a job working an American Intelligence group called the SIS (not the same as the British MI6). A couple more years of action around the world would pass before Noble decided he needed to part ways with the SIS and reunite with Bear to form their own company. Contracts came in once it became known how good they were. Soon a fair number of groups and governmental agencies wanted their help. A fair number wanted their heads on a platter. Sometimes the two groups were the same. As the series evolves, Noble will work for several different "employers". His allegiances will never vary, though. He is loyal to his friends. Everyone else just pay the rent. The author has taken an interesting approach to the publishing style of this series - he has made it really two different tracks. The first is comprised of his Episodes. Much like a serialized television series where the storyline is extended beyond a single viewing, he extends the plot and the action to encompass 5. He sells online each new episode and they come out at a decent pace. He then wraps all 5 into a single volume and sells it that way. That is the way I present them here. He has stated on his website that these tales are told from various viewpoints, Noble's, of course, but also other characters such that we see what they are up to while we follow Noble. The second has his Novels. These are fully contained lengthy adventures that deal with matters 'outside' the flow of the Episodes. The first talks of how Noble got into the business he currently has. The second talked of his employment with the SIS and how he eventually went freelance. A third depicts what happens when he has to go home on an emergency. These tales are told almost exclusively from Noble's point of view. The numbering of the books I have given is totally my own for now. I am listing them in the order in which they occur, not the order of their publication. The sequence represents my suggested reading order. While a Marine attached to a CIA team in the Spring of 2002, Jack Noble objects to the team leader's plan to execute an Iraqi family. This insurrection begins a violent path that sees he and his partner, Bear, up against a conspiracy that reaches deep into the government. Working now for the US black ops group SIS, Jack Noble and his new partner, Frank, are out to stop a terrorist organization that is smuggling drugs and guns into the US. He soon finds that the man behind it is making things very personal with Noble. 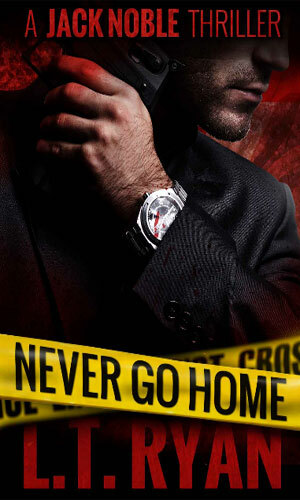 Jack Noble is on the hunt for an agent who has been ordered killed. This takes Noble from the US to Europe and back again as he learns that he has few he can trust and he might have to break some of his own rules. Consists of Episodes 1-5. 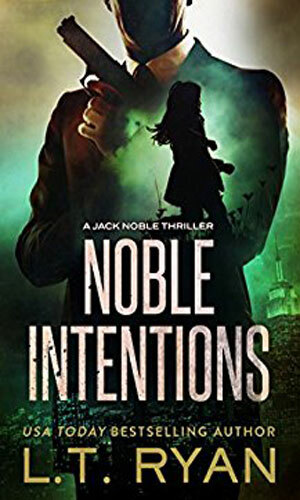 Freelance agent Jack Noble does something out of his norm when he pauses in the delivery of stolen documents to try to help an abandoned young girl. 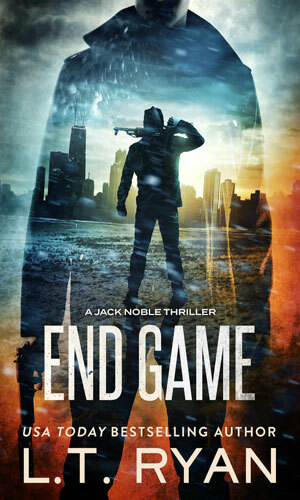 This altruistic act puts him up against some very nasty people and sees him becoming the hunted. 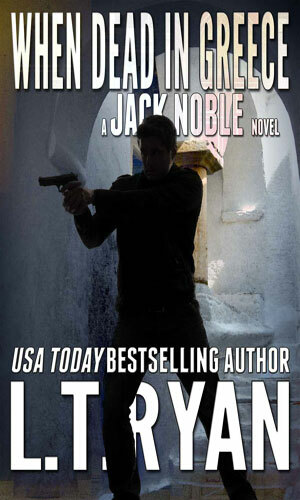 Recovering from injuries from his previous adventure, Jack Noble is in a small town on the island of Crete. It seemed serene until some local thugs threaten the family Noble is staying with and when a female is kidnapped, he steps in. Consists of Episodes 6-10. 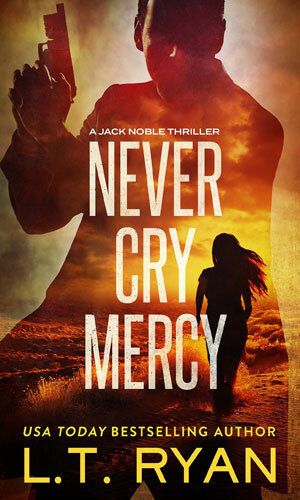 Living on Crete for the past six months because the world thinks he is dead, Jack Noble feels he has gotten soft and soft is a good way to get killed when he is pushed back into action from two different directions. Consists of Episodes 11-15. 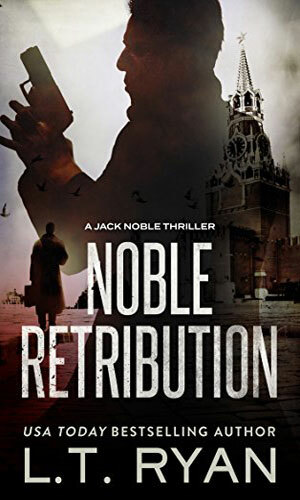 Jack Noble agrees to do one last job before he retires from the business and that task takes him to England. Hunting his target, he learns that others are after the same person and they are, unfortunately, also interested in taking out Noble. The trouble reaches high into the UK government. 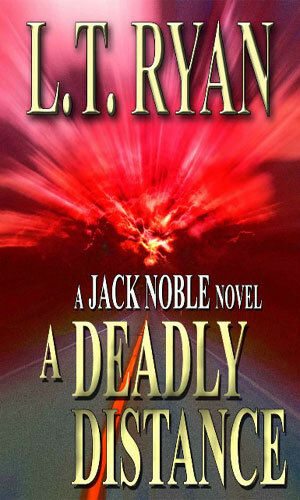 As he tries to wrap up things on a mission in England, Jack Noble hears of events back home that make him break his vow to never go back there. Now he has to fight nasty folk on two continents at the same time. The clandestine agency Jack Noble once worked for, the SIS, has been marked for elimination and its associates, past and present, are being hunted and killed. When that touches his daughter, as well as the daughter of his friend, Bear, it gets personal really fast. When his vehicle breaks down in a small Texas town, he is reunited with someone from his distant past. He also comes to know there is something not right happening in the community and he gets pulled into the situation. Jack Noble is given a target to eliminate. The day he is supposed to be killed, he disappears. To find him, Noble must team up with a female FBI agent. "One shot. One Kill. A simple plan. A simple operation. But it doesn't take much to throw off the assassination of a corrupt U.S. Senator in a foreign country. Not once the cartel gets involved. 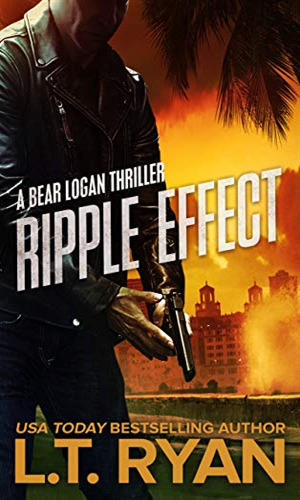 Can Riley "Bear" Logan and Jack Noble fight through the waves before a traitor gets to them first?" 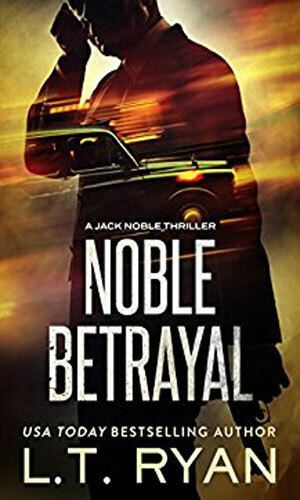 This prequel shows how Jack Noble first meets and becomes friends with the man known as Bear even as his days in Marine Basic Training has him making enemies with virtually everyone else. Many authors of a series tell readers they can read the books in any order. This is a series where you both can and cannot since it is really two series about the same guy and his friends. This is just IMHO, of course, but the reading order of one is vital for true enjoyment while the other can be more haphazard. Even then, though, I would strongly recommend reading the first half dozen in the proper order. The first two books let you get to know the characters very well. They are both prequels to the Episodes which have to be read in sequence unless you like ruining the surprises. And you will find a lot of surprises or, more accurately, find a lot of characters who you have met suddenly gone for good. 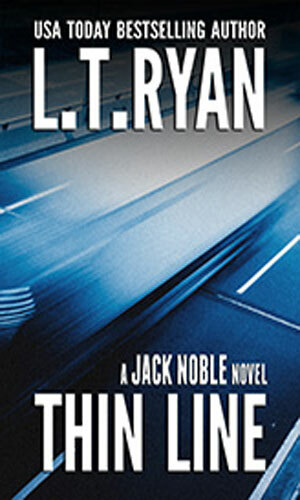 Life is cheap when you deal with Jack Noble and not just on the part of his enemies. Noble has powerful enemies who do not think at all about collateral damage. Noble himself sometimes is a tad too cavalier with his eliminations but his adversaries are unbelieveably hearless. This does more than once detract from my enjoyment but there are so many good points that I put up with it. With my gripe about the series over, I must tell you know about just how good the series is overall. The action is non-stop. If these were television episodes, you would see "to be continued" at the end of each one and would growl in anticipation. I solved that by buying the second and third Seasons before I finished the first, just in case. The author on his website ways he wraps up most of the action in a season and he is right on. I just wanted to be sure. Of course, that made it easier to just move to the next Season. Binge reading. Noble has some very enjoyable costars. Bear is fantastic. Little Mandy is adorable and considering how ofter good guys get killed, I really have worried about her on several occasions. Frank Skinner and Sinclair are bosses for different organizations and each are interesting and fun to like and dislike (more of the latter). And Clarissa Abbot is such a fascinating character and would-be love interest that the author went on to giver her own book. Noble has interesting companions. 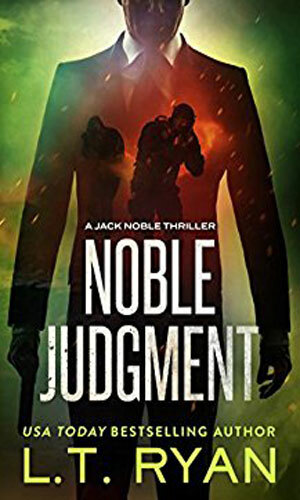 If you seek nail-biting suspense, you will likely be disappointed in the Noble series because the action never slows down long enough for it to build. But if a constant deluge of terrific action is something you crave, boy, is this series for you.